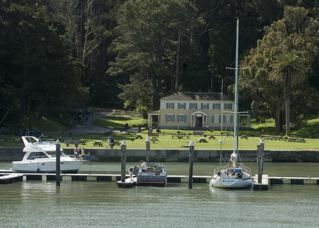 In 1775, Spanish naval lieutenant Juan Manuel de Ayala sailed through the mouth of a vast bay in the New World, and cruised into a sheltered cove on his ship, the San Carlos, to be greeted by a few resident Miwok Indians. Soon after, the Spanish set up camp across the bay on the mainland, the Mexican army followed in 1821, and settlers began to arrive from across the country. In 1846, the flag of the United States was raised over the hardscrabble port town of Yerba Buena, soon to be renamed San Francisco. When gold was discovered in 1849, hundreds of ships and thousands of fortune seekers flooded into the boomtown. A Civil War-era army garrison was established on Angel Island in 1863, and later, a quarantine station for Asian immigrants, a WWII POW camp, an embarkation point to the Pacific for American soldiers Pacific, and even a Nike missile site. You’ll see families streaming off the ferry with rolling coolers, backpacks and tote bags of picnic fare––and if putting together picnic food in advance is not your choice, an excellent café/deli is right near the ferry pier overlooking Ayala Cove. And not only that! Pretty darn good live music is scheduled every weekend. Baby strollers are easily maneuvered around the cove and the café area. The easiest way to learn about the history of the island while taking in some fresh air is to hop onto the open-air tram for an hour-long narrated tour. What Can You See From Angel Island? On your own, ride a rental bike or take the short walk from Ayala Cove to Camp Reynolds toexplore a collection of charming Civil War era buildings and wind-protected, nearly always sunny Quarry Beach. Completely around the island, it’s a five-mile hike. 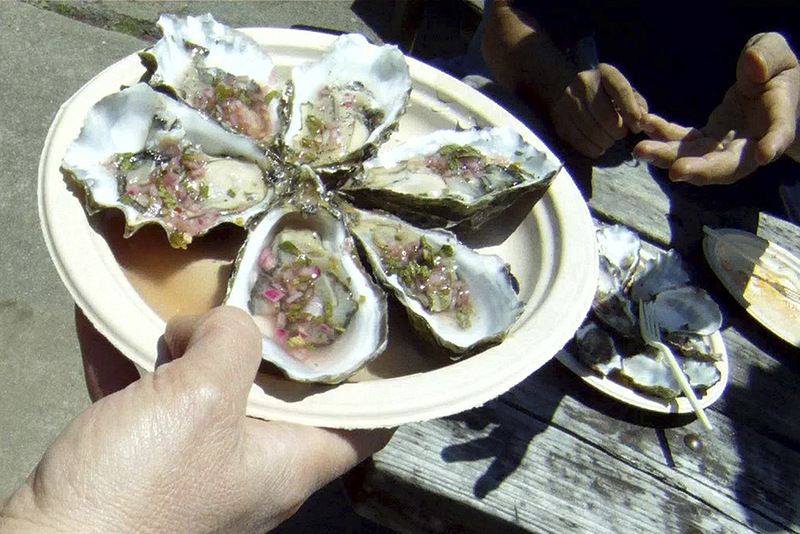 The menu at the café on the island is locally sourced , from raw and BBQ oysters to ceviche, a succulent Cowgirl Creamery cheese board, and tacos made from organic seasonal veggies. The Cantina Burger is a delicious extravaganza of cojita cheese, grilled pickled onions, guacamole and only-on-Angel-Island sauce, with cumin lime slaw, while the “Way Down South” BBQ pulled pork sandwich is loaded with the Snake River Farms pork that was named the best natural pork on TV’s “America’s Test Kitchen”. Live music and Lagunitas IPA on draft make the café deck a popular hangout on weekend afternoons, June through August. Picnic tables on the lawns around Ayala Cove are perfect for your own feast.